The most annoying thing when playing games on PC-Laptop is Lag, the game doesn't work well. Besides being uncomfortable when playing, lag is very dangerous for a PC-Laptop because the device does not work properly, besides causing some components to heat up. If there is a lag when playing a game you should not force it and stop immediately. The next step is you turn off the PCs and leave them for a few minutes. 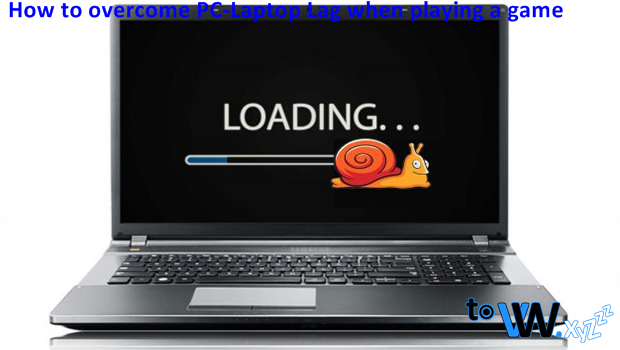 There are several ways that can be done to overcome the problem of Game Lag on PC-Laptop. The following are tips for overcoming lag problems when playing games, you can try this method on PCs with Low to Middle Spek. You can try to install Software Booster, useful for maximizing computer performance on one or more programs that are running. This software will prioritize PC-Laptop performance in a program that is being run. In addition this software will temporarily stop other programs being opened. So that the performance of the Processor, RAM, VGA is more stable because it doesn't work extra. Next is to use the Adapter Management Tool, this software aims to ease the work of VGA, some tasks will be moved so that the VGA is more free to run the Game. This software is proven to work well, PC-Laptop performance is faster. If you install Startup like Yahoo Messenger, Faster Software, that makes PC-Laptop slow down because it will run several Startups. If you play the game feeling Lag, you should temporarily disable the Startup so that the PCs can run the game properly. When VGA does not work or function properly, it is certain if the PC-Laptop will experience problems while playing the game. One of them is not available or no VGA driver update on your PCs. The solution is to identify your VGA type, then find out about the Latest Updates. Make sure your VGA Driver is always updated to get better and faster performance. Another cause of Game Lag is full storage capacity, delete some files or data on your Harddisk. The hard drive which is divided into Drive C, Drive D, etc. is a place to store files, read-write data, and install programs. Usually the program will require more HDD Space as the program 'Motion Space'. The greater the 'moving space', the better the game can be run. If the game you are playing is still Lag, it might be caused by a corrupted or corrupt Registry file. You can use Antivirus software to scan and repair Registry files that are lost or damaged. This method is proven effective because it can restore lost files so that the game can run smoothly without lag. That is the Tips to overcome the Lag problem in the Game on PC-Laptop, hopefully useful. You can try it, thank you for visiting the ToveweXYZ website. Keyword: How to Fix and Overcome Games Lag, What is How to Fix and Overcome Games Lag, Benefits of How to Fix and Overcome Games Lag, Functions of How to Fix and Overcome Games Lag, Software How to Fix and Overcome Games Lag, Use of How to Fix and Overcome Games Lag, How to Use How to Fix and Overcome Games Lag, How to Use How to Fix and Overcome Games Lag, How to Use How to Fix and Overcome Games Lag, How to Set Up How to Fix and Overcome Games Lag, Benefits and Benefits of How to Fix and Overcome Games Lag, Explanation of How to Fix and Overcome Games Lag, Definition of How to Fix and Overcome Games Lag , Information About How to Fix and Overcome Games Lag, Regarding How to Fix and Overcome Games Lag, Tutorial on Installing How to Fix and Overcome Games Lag, Guide to How to Fix and Overcome Games Lag Settings Easily, What is How to Fix and Overcome Games Lag, How to Install and Install How to Fix and Overcome Games Lag.